this will conflict with DI and no, not possible as spore isnt that detailed. Camben did it with his morphing body part thingy. And i dont know anything about modding, just know how to use them, but can you find away to make this not interfere with DI? grandrice wrote: Camben did it with his morphing body part thingy. And i dont know anything about modding, just know how to use them, but can you find away to make this not interfere with DI? the body morphing was actually a complete accident. i was trying to make it so you could make longer creatures by adding vertebrae. the undo redo thing was discovered when i was trying to get rid of the vert piece, and then i had to redo a different move I had done. the vertebrae act really weirdly when not coded properly. At least I can make a decent Charmander/Charmeleon/Charizard now. 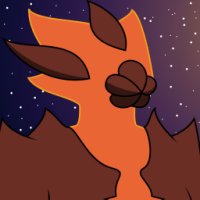 GalladeXD wrote: At least I can make a decent Charmander/Charmeleon/Charizard now. post pics if you do! No changes in-game. I'm slightly annoyed about this, as this may render all mods useless on my PC. All patches installed in the correct order. Just nothing working. how exactly did you install the patches? 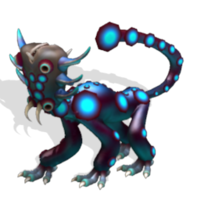 I'm new to the whole Spore modding thing, and I'll be honest, I have no idea how to convert these files into package files, or whatever it is I would need to do. I download these files, but I can't seem to do anything with them x_x. ok, what mod are you using... this one? Davo wrote: ok, what mod are you using... this one? I take it there is no real fire Ball animation in the game? Somewhat strange seeing a bonfire sliding across the ground to the target lol. 'Course, I guess one could just speed up the animation so that you hardly see it before it goes Boom. Garzhad wrote: I take it there is no real fire Ball animation in the game? Somewhat strange seeing a bonfire sliding across the ground to the target lol.